What to expect in the mediation process. 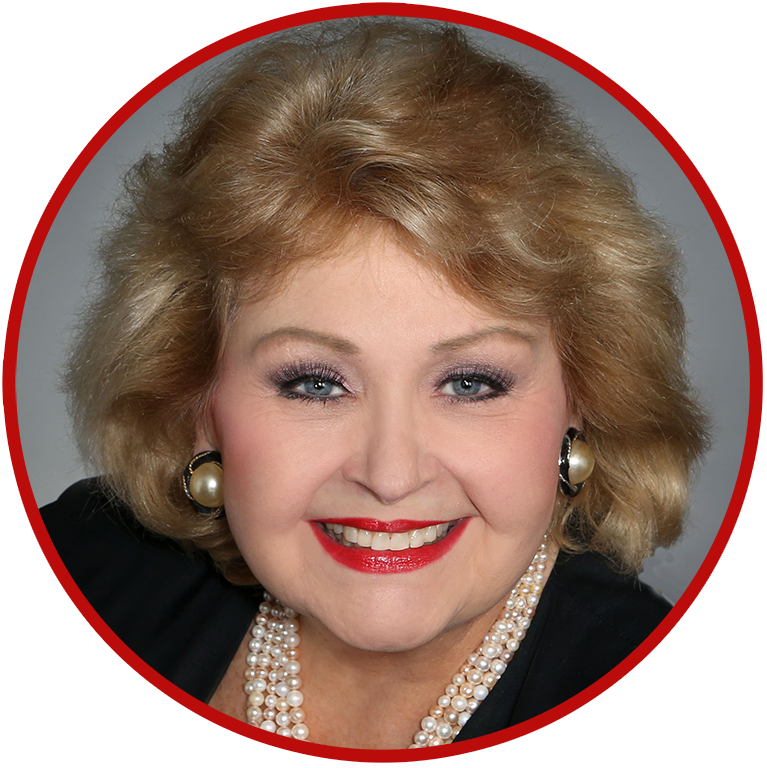 A Woman Who Means Business in Professional Services 2018.
the Texas Mediation Training Roundtable’s requirements for mediation training. 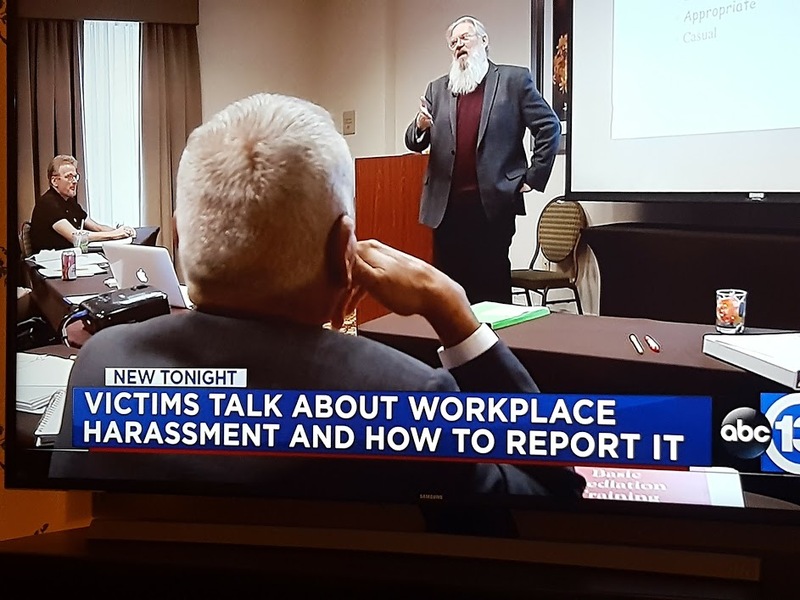 This course is designed to satisfy the 40 classroom hours of training required to mediate court-referred disputes as indicated in the Texas Alternative Dispute Resolution Act § 154.052, Tex. Civ. Prac. & Rem. Code Ann. account your special interests and talents. You make the decision. We work closely with the Houston Better Business Bureau”s Autoline and Arbitration programs. Parenting Coordinators and Facilitators assist the family courts by providing mediation for high conflict couples who need guidance in child custody issues and scheduling. The Coordinators and Facilitators are appointed by judges and paid by the families according to state statutes. 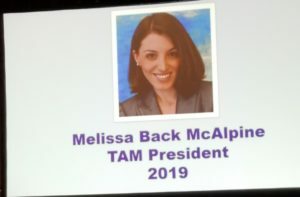 Congratulations, co-director at Manousso Mediation and Arbitration, LLC., Melissa Back McAlpine, JD, who was elected the 2019 president of the Texas Association of Mediators. 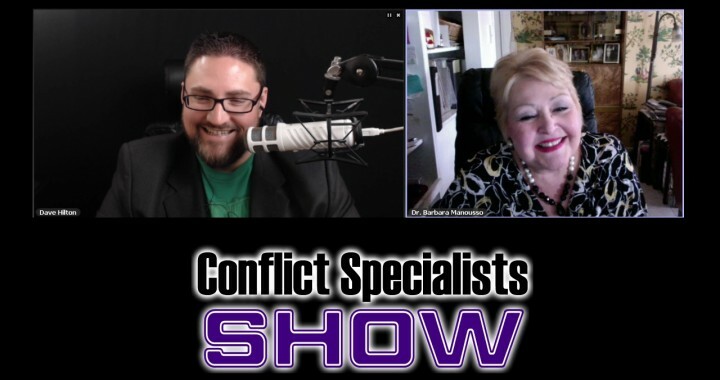 She also is Co-Chair of the Texas Mediators Trainers Round Table (TMTR) and co-teaches with Dr. Manousso at the University of St. Thomas, as well as the founder of Back to Yes. 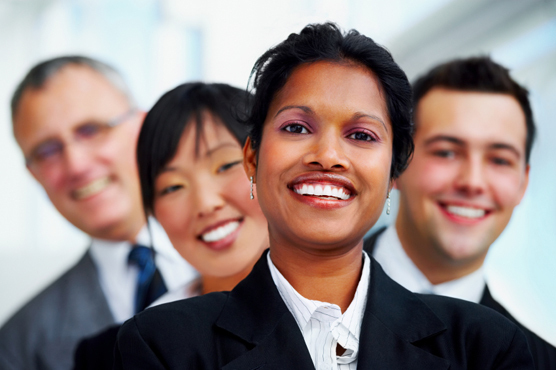 nursing home administrators, certified public accountants, guardians, lawyers, and mediators who seek to expand their careers and reinforce their resumes. The focus of this special training is to assist senior adults and families have the conversation that they have not been able to have. To hear and learn more about elder mediation, go to AARP radio interview. For the best in mediation training, select a mediation training program with proven leadership and lecturers with academic credentials and professional standing, like the staff of Manousso Mediation. 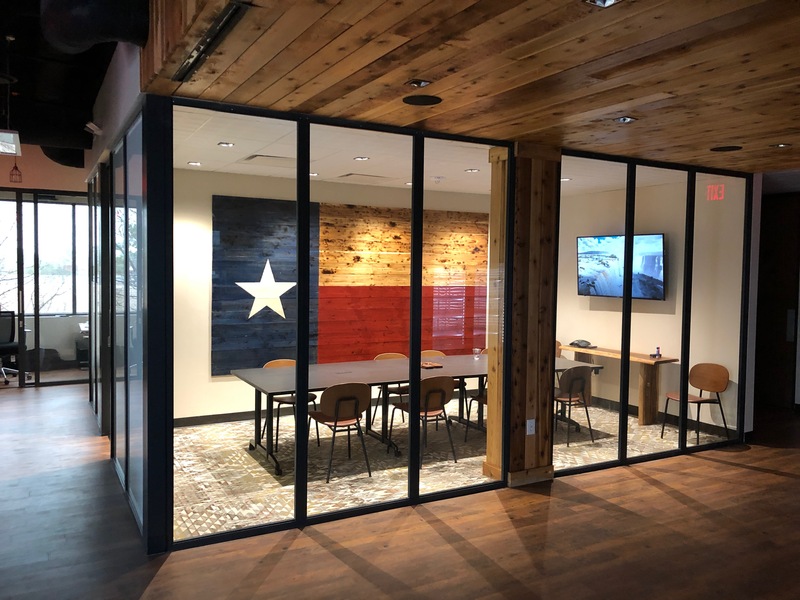 Make sure that your trainers meet the qualifications for professional mediation organizations, such as being members of the Texas Association of Mediators, Association for Conflict Resolution, Texas Credentialing Association, and Texas Mediators Trainers Round Table (TMTR), or you won’t be getting a quality training and often won’t be accepted into the mediation community. Online trainings are not recognized by most mediation and alternative dispute resolution (ADR) panels. Check and verify all trainer credentials through each professional organizations. 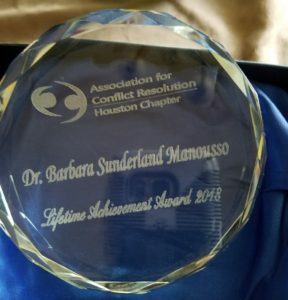 Dr. Manousso was the 2019 Texas Association of Mediators’ recipient of the Adams Award for her contributions to the practice of mediation and arbitration, alternative dispute resolution (ADR), in Texas. 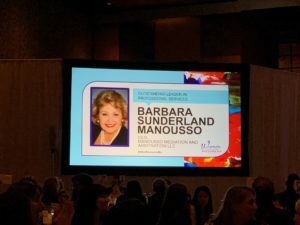 The Houston Business Journal honored Dr. Barbara Manousso as a Woman Who Means Business in Professional Services on October 18, 2018. New: The Legislature now requires four hours of domestic violence training in order to conduct any family mediations. 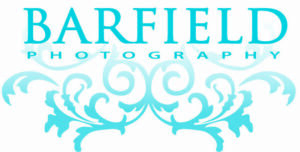 If you have taken any of our family trainings, you have exceeded this requirement, as stated on your certificates. However, if you trained elsewhere, you might not have the four hours of domestic violence training. Therefore, Manousso Mediation is offering four hours of domestic violence training on Thursday, June 13th, at 1 PM in the Houston Uptown-Galleria area for $150. To register, go to the Pay Tuition page under Advance training (drop down button) payment, and select last item. Make sure that you add a note that you will be in the DV training. 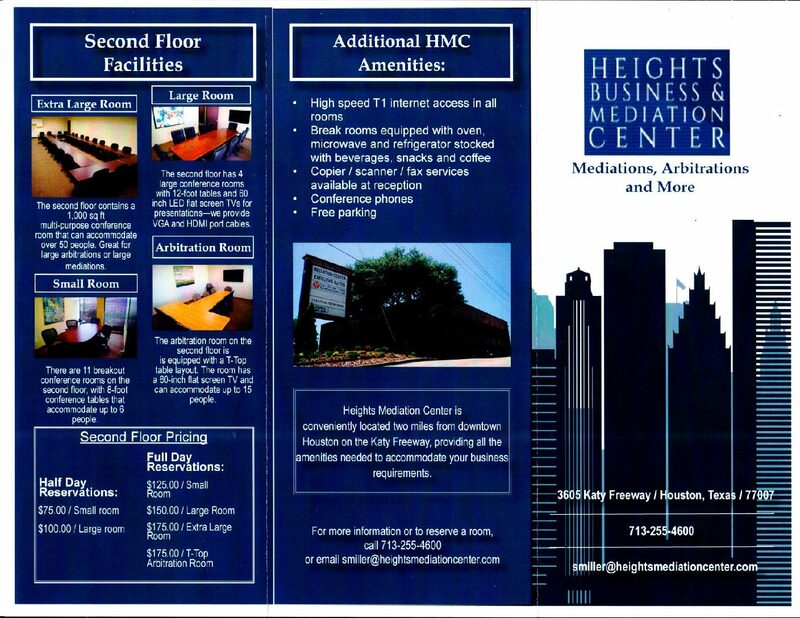 on How to Grow Your Mediation Business. Bowen Mei, a new ADR professional, is a freshman at Texas A&M majoring in computer engineering. Manousso Mediation and Arbitration, LLC selects an outstanding student annually to train as a mediator and arbitrator to complement their career path with conflict management skills and solutions. If you know of a young person who would value this opportunity, please email Dr. Manousso. Our donation. Your charity contribution. Manousso Mediation and Arbitration, LLC, proudly supports many non-profit organizations with almost 50 percent of each student’s tuition. 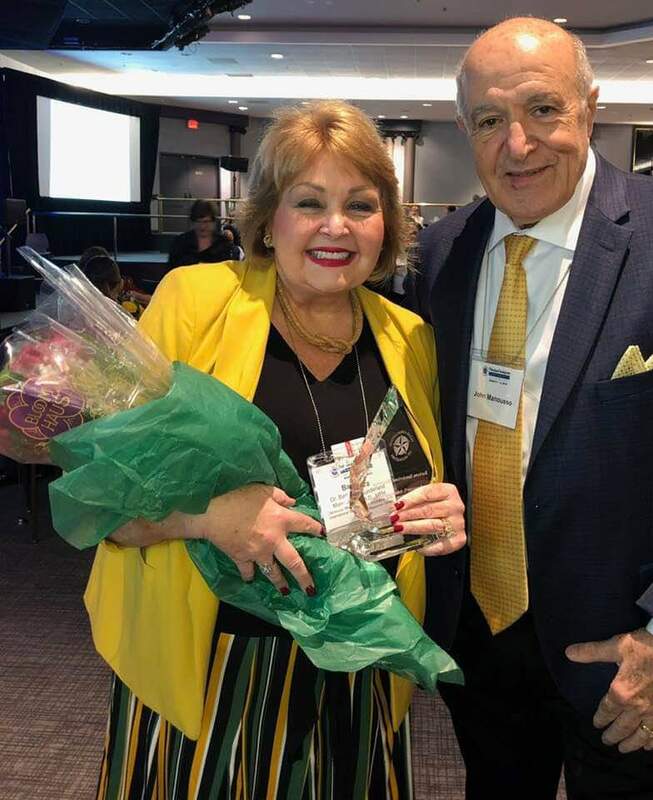 The Houston Area Woman’s Center is one of our favorite charities, as noted in the 2018 HAWC Leadership campaign by Dr. Manousso. Other charities include the University of St. Thomas’ Center for International Studies, Trinity Children, Children’s Assessment Center, Brown University, Annunciation Greek Orthodox Cathedral, Texas Association of Mediators, Association of Families and Conciliation Courts (AFCC), Texas Association for Attorneys and Mediators, and many more. Mediator Makes U.S. News & World Report’s List of Best Careers since 2006. U.S. News considered job satisfaction, training difficulty, prestige, job market outlook, and quality pay as keys to its ranking. Check out these Websites for career opportunities in Alternative Dispute Resolution (ADR): Mediation and Arbitration. There are many job search engines that look for mediators and arbitrators or require conflict management skills, verified by a basic mediation certificate. Take our basic mediation and arbitration trainings and enhance your resume. Perhaps, start your next career path! See April 2016 article by Dr. Barbara Manousso. Dr. Barbara Sunderland Manousso talks about Elder and Adult Care Mediation with radio host from 50Plus, Doug Pike, on KPRC radio. Article on Elder and Family Mediation and Arbitration!